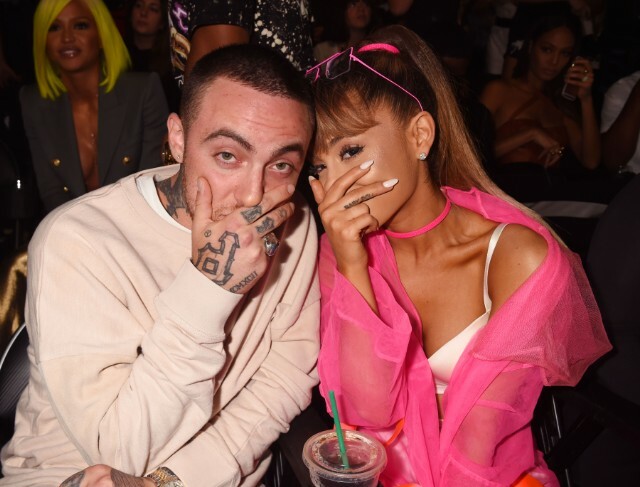 Ariana Grande has paid tribute to the late Mac Miller with a touching post on Instagram. The post, which contains no caption, is an old, black and white photo of Miller looking up at the vocalist while seated in the grass. Mac Miller passed away earlier this week after an apparent overdose at the age of 26. Miller was romantically involved with Ariana Grande for over two years before ending the relationship this May. As longtime friends and collaborators before dating, the couple went public with their relationship in September 2016 and even after parting ways this spring, Miller wished nothing but the best for her in the wake of their breakup. Ariana Grande is the latest to join musicians like Chance The Rapper, Wiz Khalifa, and Questlove mourning Miller’s death on social media. Check out her Instagram post below.